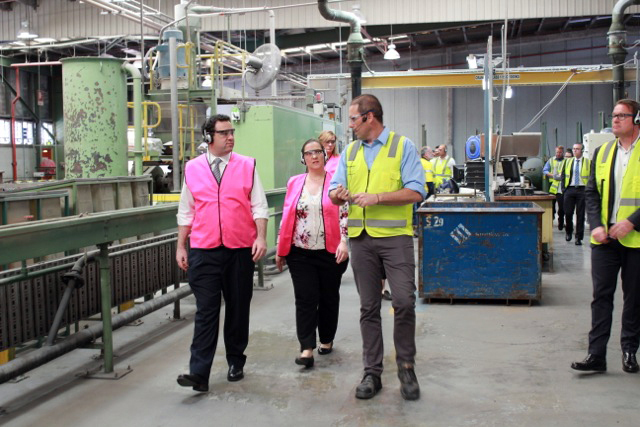 On the 16th October we had the opportunity to show that we are more than ready to take on major infrastructure projects, as the Minister for WestConnex, Stuart Ayres and other distinguished guests visited our factory in Liverpool. 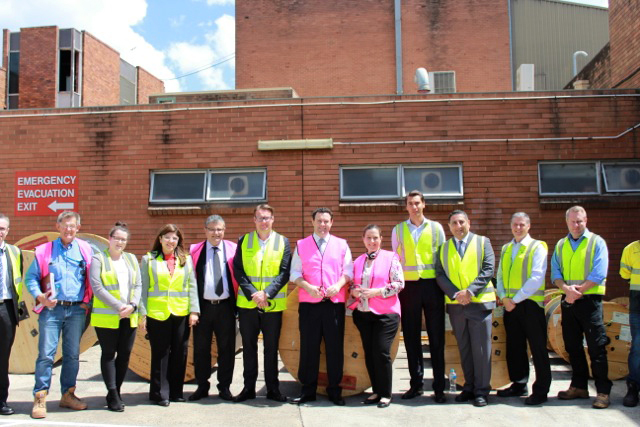 The Minister for WestConnex Stuart Ayres and Sydney Motorway Corporation’s WestConnex stage 1 Project Director Terry Chapman visited Prysmian Liverpool factory on Monday 16th October. 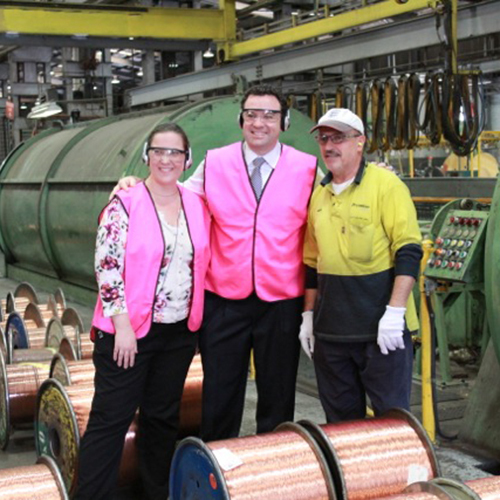 Local MP Melanie Gibbons also joined the visit. 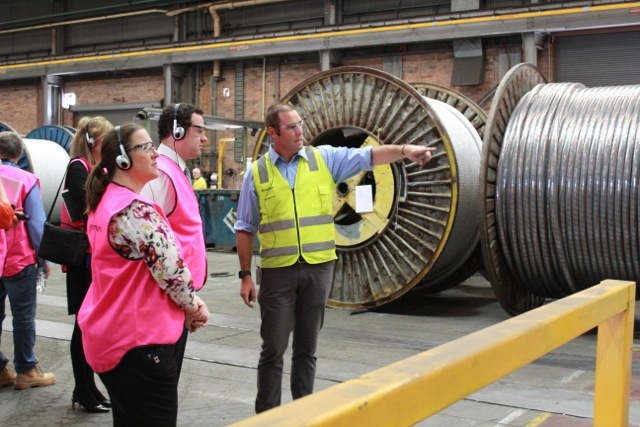 The event was an opportunity for Prysmian to show the manufacturing capabilities which allow the company to support the wide variety of infrastructure projects currently underway in Sydney. 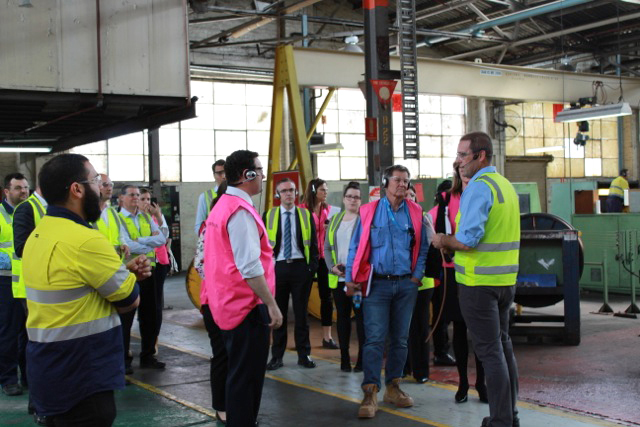 The visitors were welcomed by Prysmian Australia CEO Frederick Persson, Manufacturing Director Doug Ellis and Commercial Manager – Industrial Adam Talbot. “This is a great opportunity for us to further showcase our business in the hope of securing participation in more infrastructure projects”, said Adam. “We are a local manufacturer with solid cable expertise from the early 1940’s. Our continuous focus on interpreting our customer needs allow us to consolidate a strong portfolio of cable solutions, providing support at the early stages of any project to final deployment and delivery of the chosen solutions”, continued Mr. Talbot. 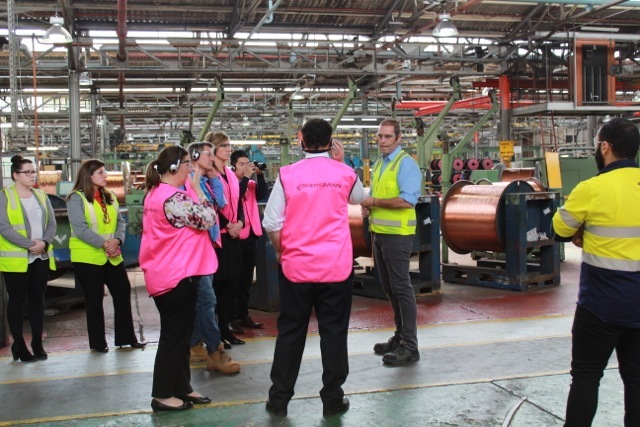 A factory tour took guests through the different manufacturing processes from Copper Drawing to Sheathing and Despatch. An arrangement of drums with some of the cables manufactured for the WestConnex New M4 project was the final display to close the tour. 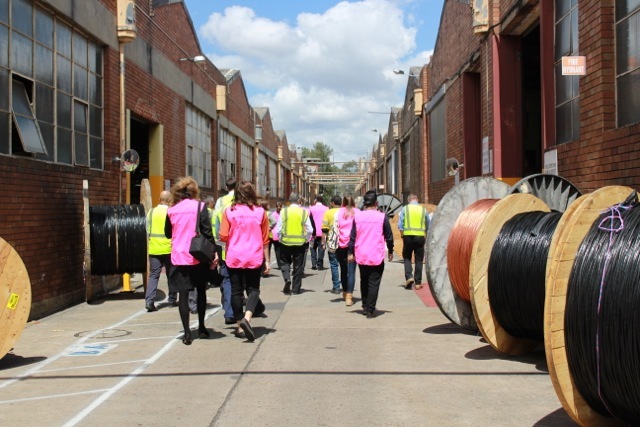 The WestConnex contract awarded to Prysmian back in May this year relates to the supply of Low and Medium Voltage cables, Optical Fibre cables as well as Data and Instrumentation cables. In addition to cables, Prysmian is supplying cut-to-length and cable management services that allow convenient and quick delivery of the cables as they are needed during completion of the New M4 Project.